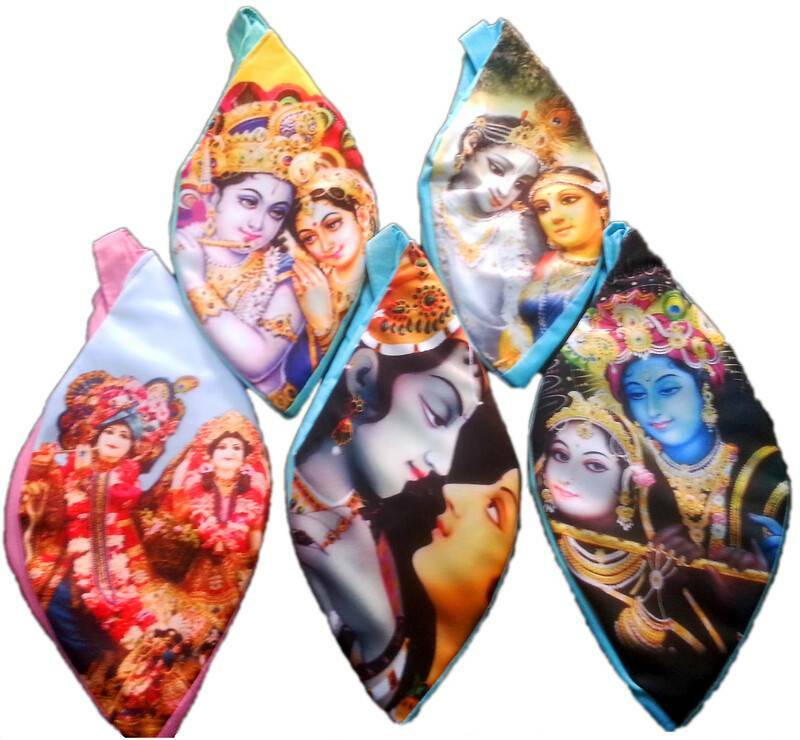 Bead bags with digital print of Radha and Krishna. Mixed designs and assorted colors. Pack of 5.